MAXQDA lets you not only import and export texts and tables, but also create them, for example for ethnographic descriptions of researched items. click on a document group with the right mouse button and select New Text Document to create a text at the top of the selected document group. MAXQDA will automatically assign the document a name in the form of “Document nn,” where nn is a consecutive number. Of course, you can always change the name later. 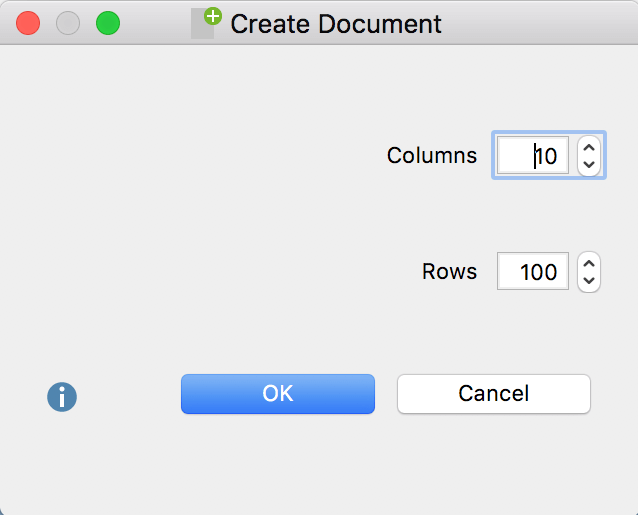 After creating a new document, it is automatically opened in the “Document Browser” and put in Edit Mode, so you can start to type or paste text from another program into it. To create a new table, go to the Import tab and click on the text Create Document. Then click New Table Document in the menu that appears. You can freely select the number of rows and columns. Please note: When creating a new table, no new columns can be added later. 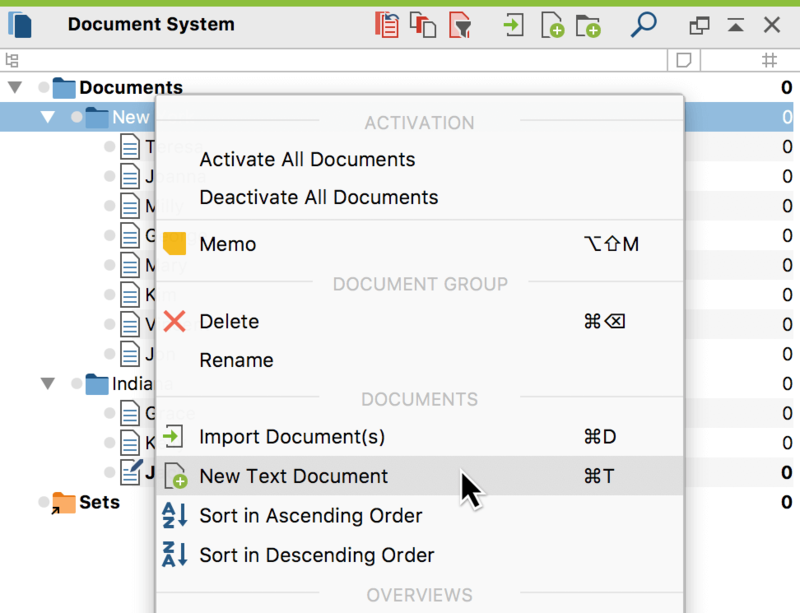 Open a text document by double-clicking on it in the “Document System“. A menu will appear, in which you can specify the number of columns. Please note: The original text will be preserved in the conversion to a table. A new table document appears in the “Document System”, which you can recognize by the symbol and which will bear the same name as the source document. Each paragraph of the source text appears in a separate line of the new table. If you have selected more than one column for the table, the text appears only in the first column. As this picture shows, this conversion function makes it easy to paraphrase and summarize texts in MAXQDA. When you activate Edit mode, you can paraphrase the texts in the empty columns of the newly created table.